Website analytics is a way to collect, measure, and then analyze how people are interacting with your website. It is a tool for business research and market research, and to assess and improve the effectiveness of your web site. It helps you to estimate how or if you should make changes to your website. It gives you fresh insights into how visitors use your site, how they arrived on your site, and how you can keep them coming back. Do you have analytics programmed into your web site? If you don’t, contact us here and we will program it in for free. 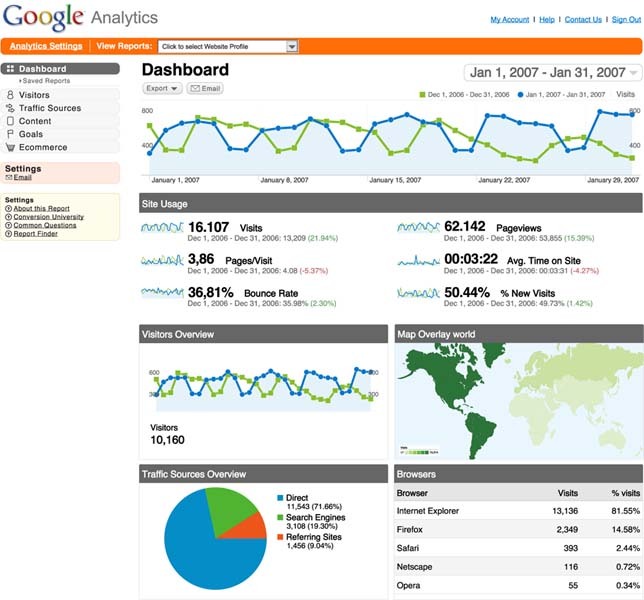 Google Analytics is the one we use and it’s free as well. If you have analytics, but never looked at it or understand it, Click Here or give us a call and we’ll go through it and teach you what it shows.